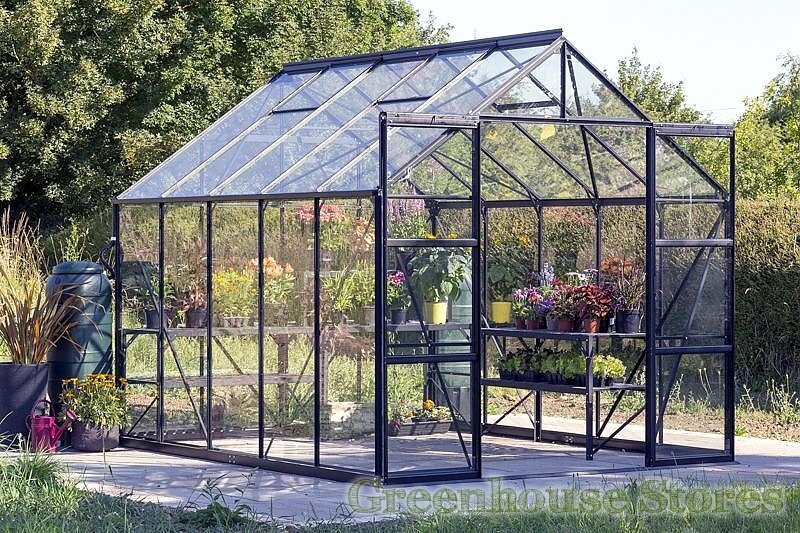 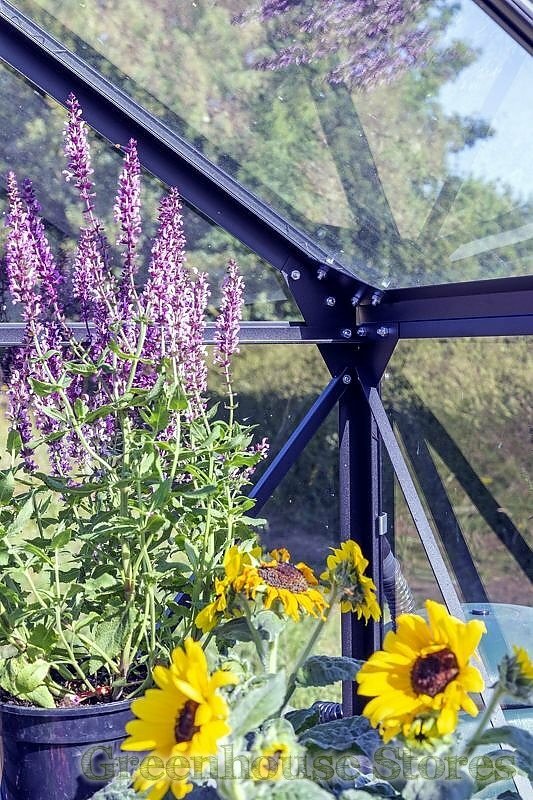 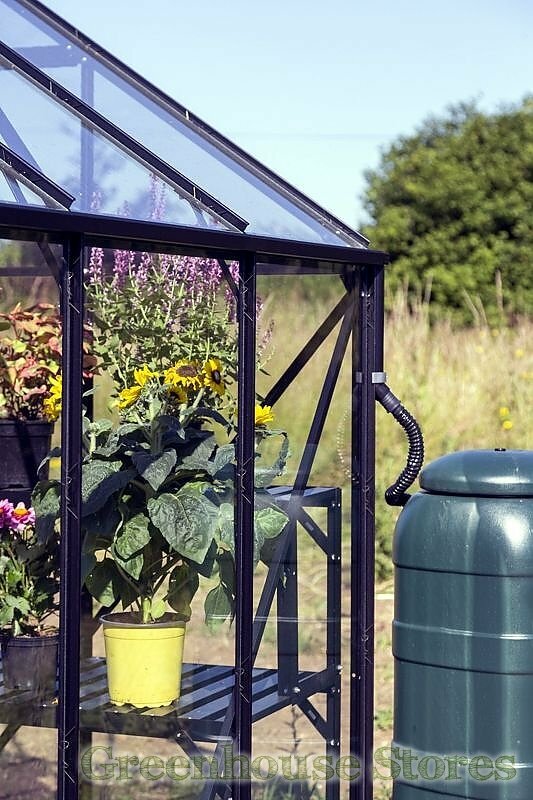 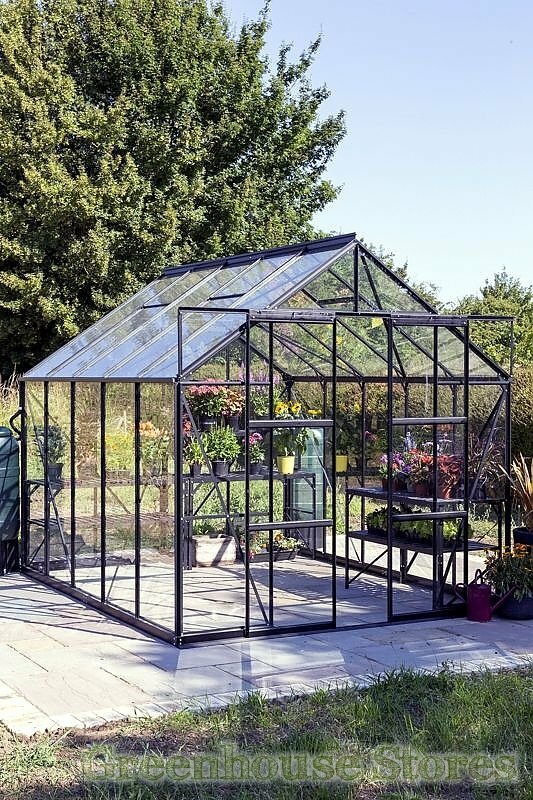 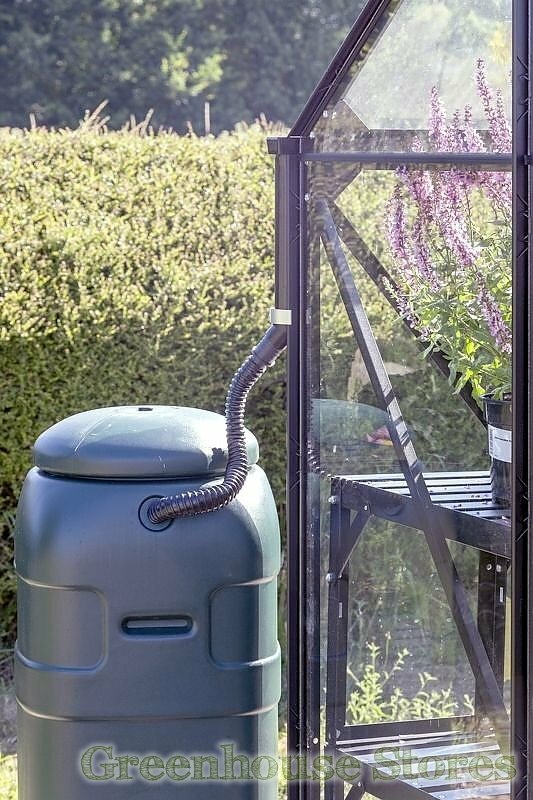 The 8x14 Black Vitavia Phoenix Greenhouse looks stunning. 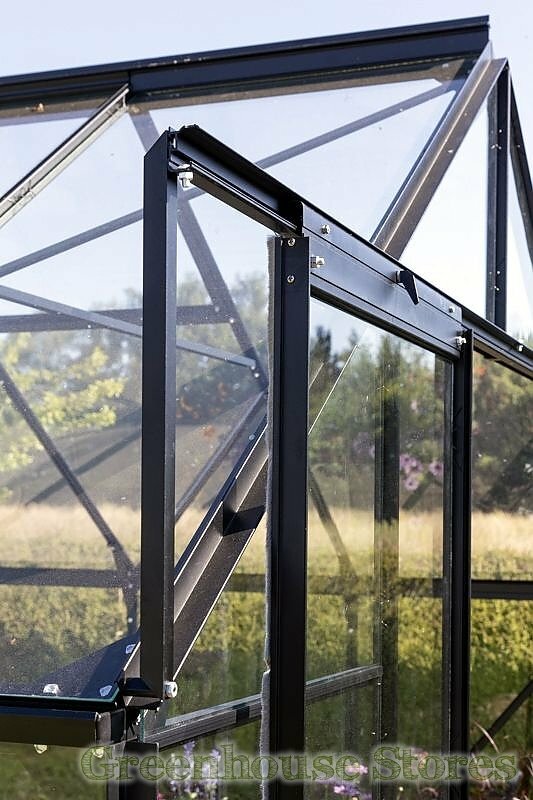 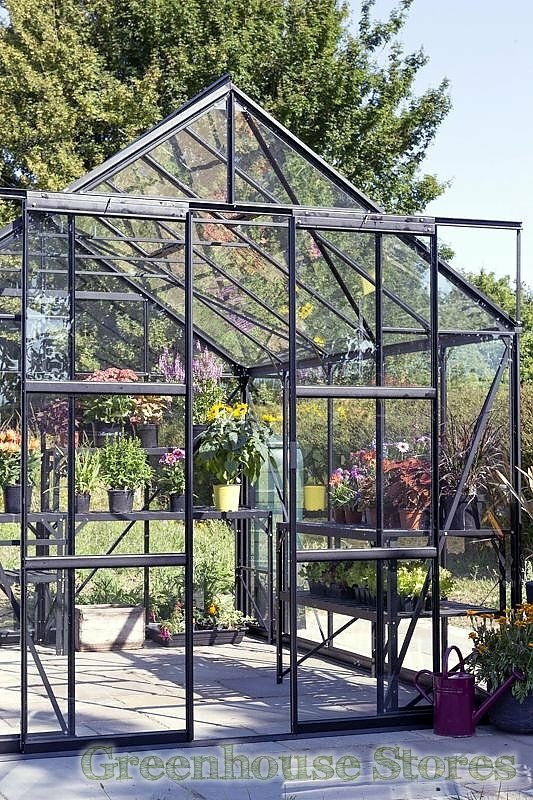 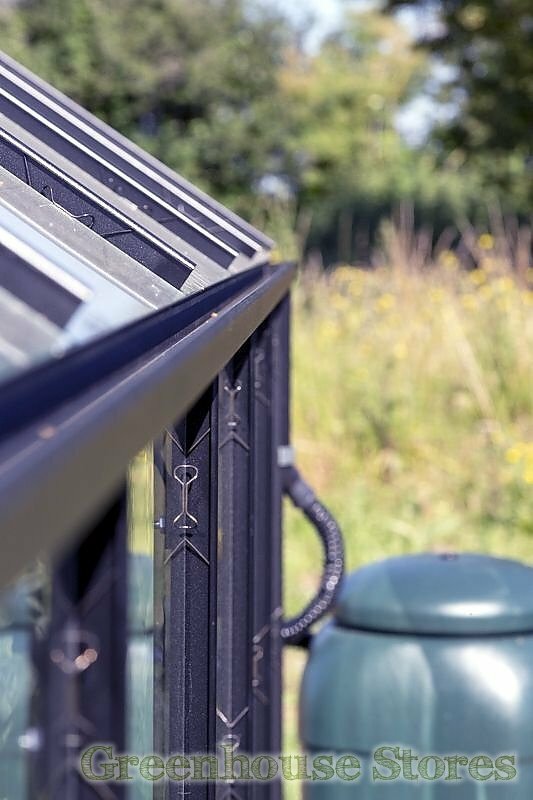 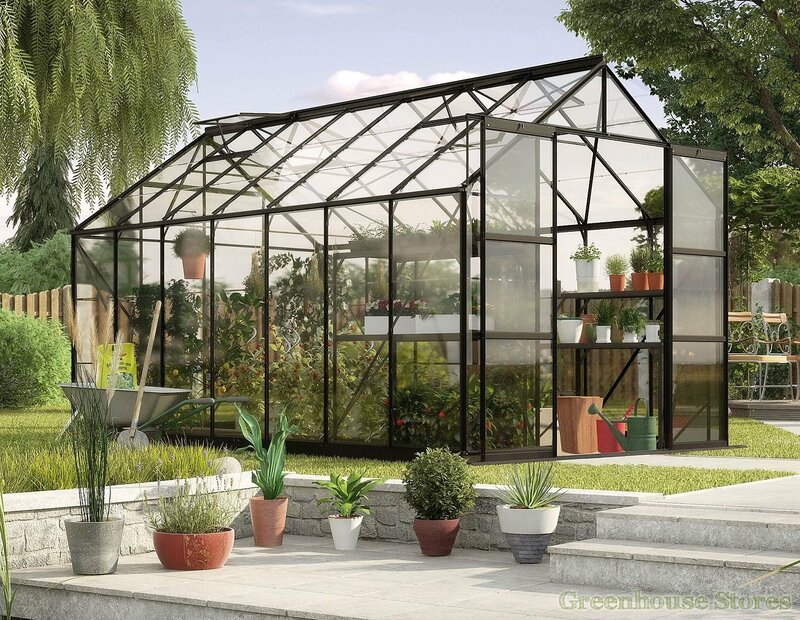 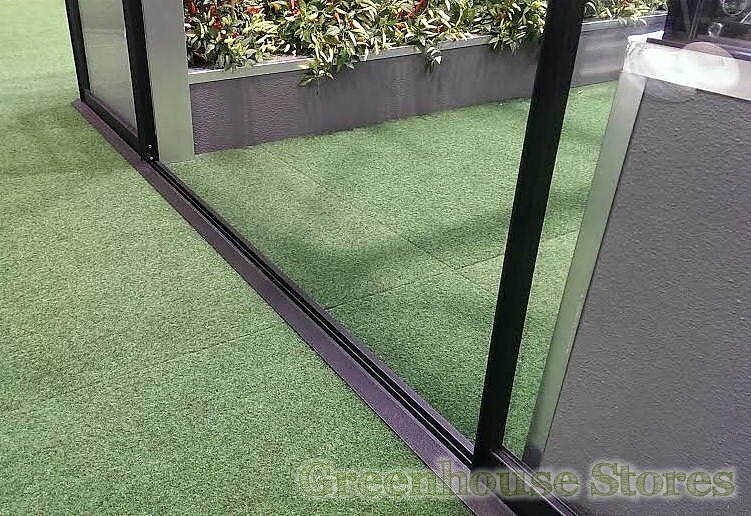 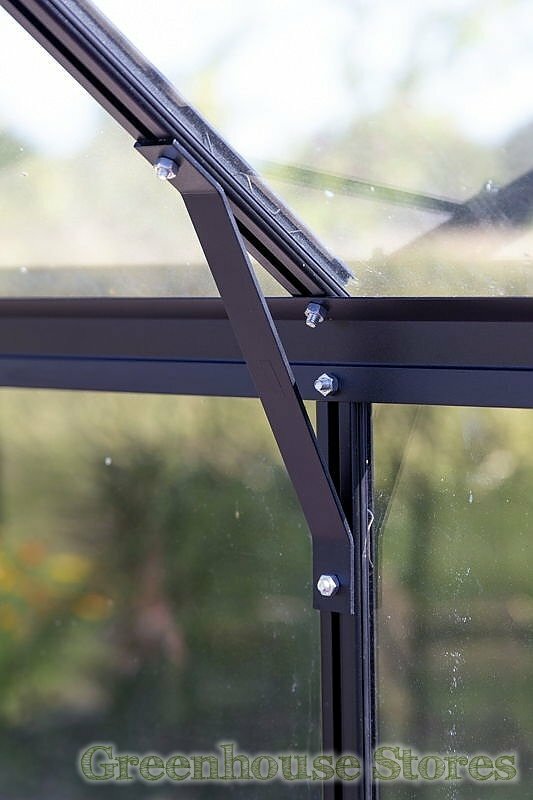 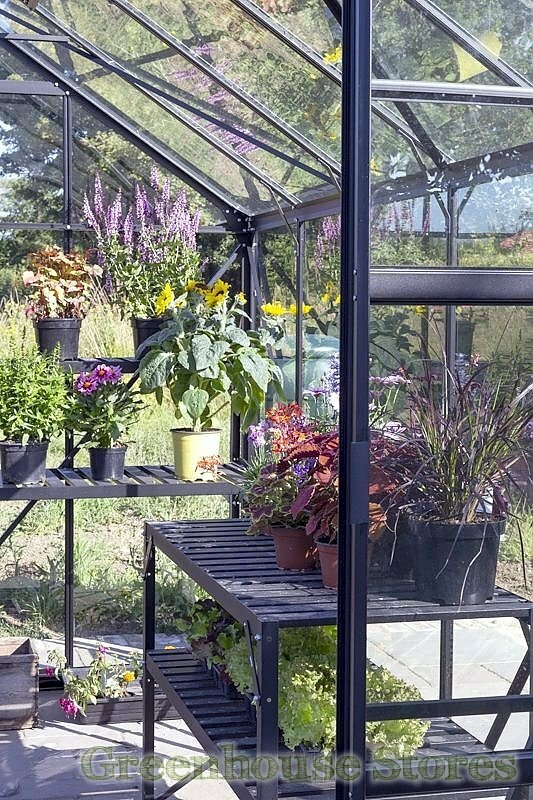 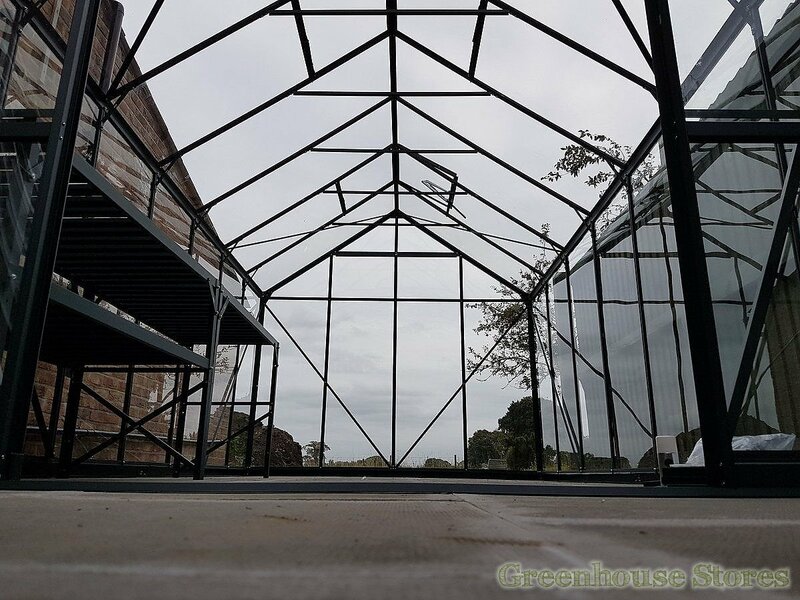 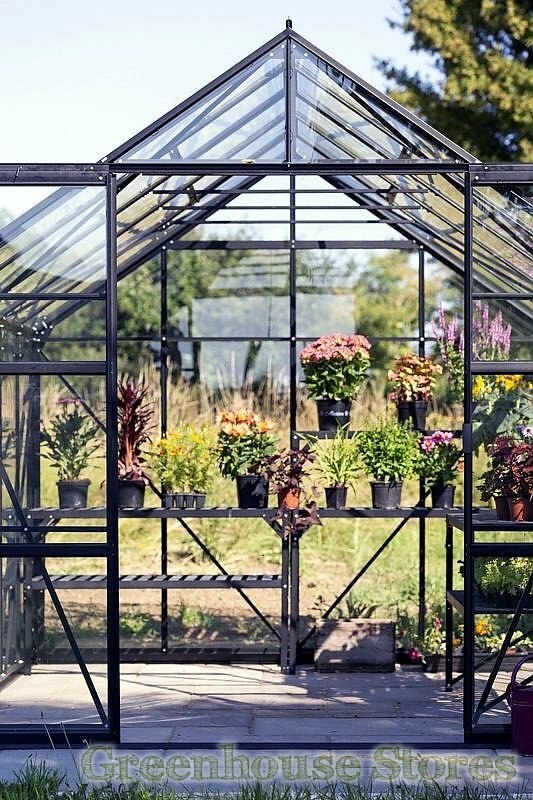 Rather than a normal silver or green greenhouse these black models look modern and very stylish. 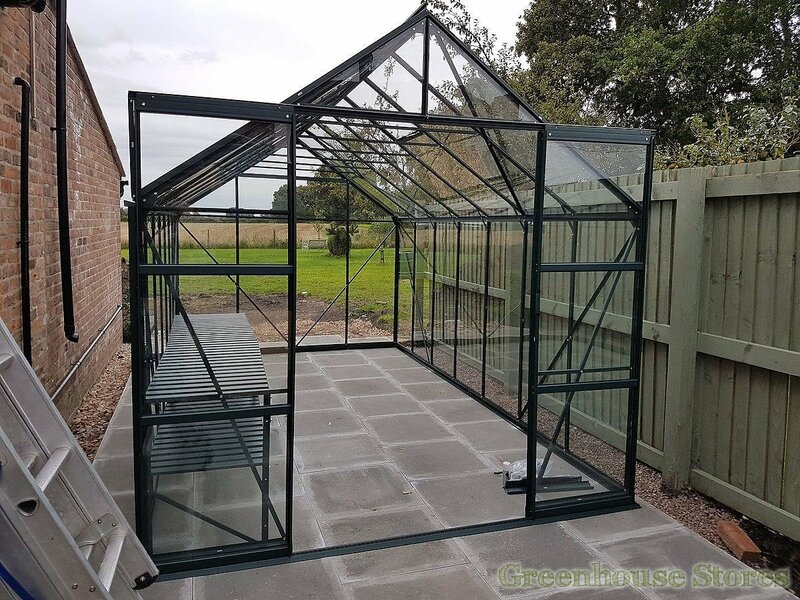 This black framed Vitavia Phoenix 11500 8ft x 14ft comes complete with 4 opening roof vents for ventilation, sliding double doors and integrated base and gutters.